You are here: Home / Currently Featured / Chile Turns A New Leaf! These are exciting times for the Chilean wine industry. A new landscape is emerging. Young, (at times) European-trained wine makers are shaking up convention. Laws are being rebooted to further delineate wine zones, to lend clarity and focus. Chile is poised to redefine its place on the global wine stage. 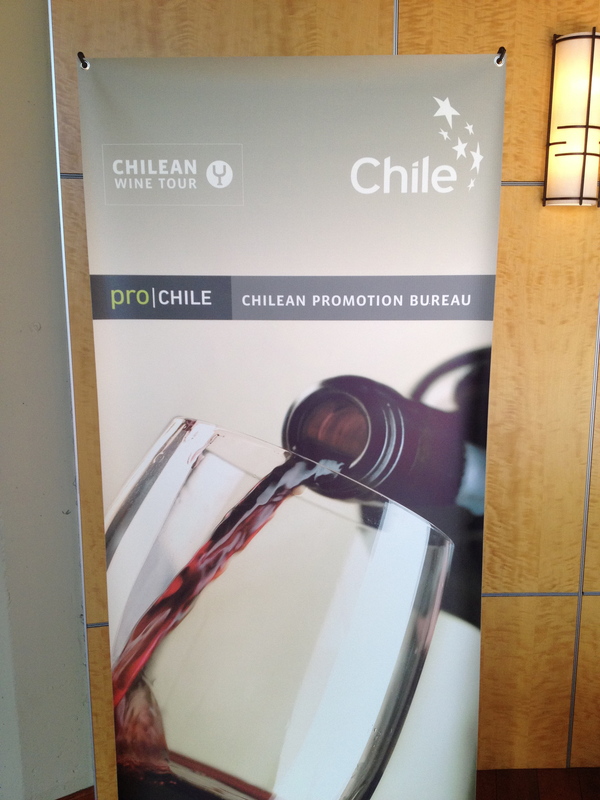 At the recent Wines of Chile trade event in San Francisco I had an opportunity to speak with three, key wine-industry actors about the Chilean wine renaissance and this newly energized, global, wine nation. Francisco Correa, director of the commercial office of the Chilean consulate based in Los Angeles debriefed me on his mission to promote the country’s wines under the umbrella of ProChile, the national trade arm with many hats that organizes industry tasting events to showcase Chilean wine producers. Felipe Muller East sat on the seminar panel representing the voice of the Chilean winemaker. His work in the Limarí region is some of what is most exciting about the wines currently coming out of the country. STTG: Felipe, what is your message to the US consumer as to why Chilean wines should grab his or her attention? FME: I think what is happening in Chile is that we are having a big change…in terms of our goals for the future. Chile before the nineties used to be a local consumption market. Quality wasn’t a word normally spoken by the wineries. They were driven by big productions and didn’t care a lot about the quality. In the late eighties Chile started exporting wine and they promoted Chilean wine as very reliable and cheap – good value for money, which I think was the wrong strategy. Nowadays, companies like Tabalí, smaller wineries, have something to say to the world. Year by year more and more wineries are joining us in terms of trying to show that Chile is able and capable of producing very good quality wines. We’re on our way to making it in the serious leagues. Josh Greene is the editor/owner of Wine & Spirits magazine and a long time observer of the Chilean wine industry who moderated a seminar and tasting of a select group of Chilean wines at this event. STTG: Josh, you took over Wine & Spirits magazine in 1989. In your years of covering the wine trade what would you say are some of the most significant and exciting developments you’ve witnessed in the Chilean wine industry? JG: The coast. I mean, there really was no coastal vineyard. People started moving towards the coast in Aconcagua, in Leyda and San Antonio, toward the coast in Colchagua. So suddenly you had all these new vineyards that didn’t exist at all and it’s some of the most exciting, fresh, really bright, energetic wines that you can taste in Chile. STTG: What has your perception been in the last five years not only of the qualitative strides in the country’s wine offerings but also, where you see Chile positioned in this market five years from now? JG: I think the positioning is bound to change over time. It’s really hard for the new world to break out of the constraints of value…into more…exciting wines from terroir. A lot of the trade is dismissive of it. Chile has a real asset in distinctive soils, distinctive climates – not necessarily the complexity of the soils but the consistency of the soils – parent-rock soils that are very old and consistent from place to place. This whole discussion is really about the laws aligning with the terroir and that’s what to me is really important about this latest decision on the part of the Chileans – that they’ve aligned their appellation system with the terroir which gives it much more viability in the future in terms of something to build on. I don’t really think that other, new-world countries have as easily comprehendible a base as this base that they’ve just developed with the coast and the Andes. These things are really simple. But, if they’re simple and they have meaning then people can understand them. If they’re simple and they have no meaning then it’s nonsense. Mick Cameron is a wine consultant, writer and educator and a long-time industry insider in the northern California wine trade. « Argentina – Que Bueno!